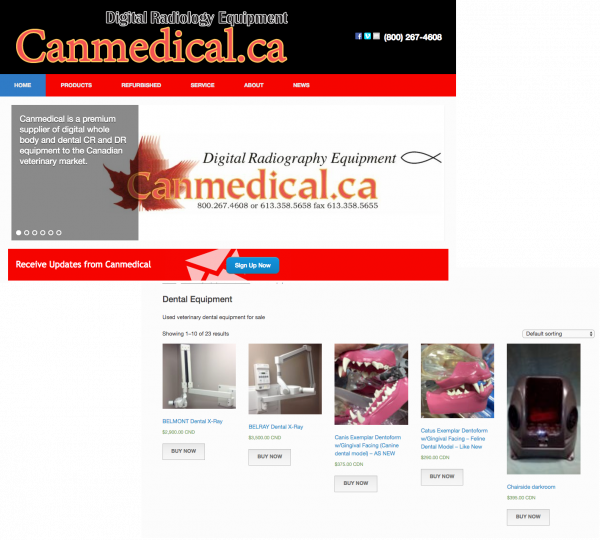 Canmedical is a Canadian veterinary supply company whose CEO discovered a need for vets to connect with one another to buy and sell used veterinary equipment. VEEN Canada approached CyberCletch to develop a test site for the Canadian market. We then updated their main Canmedical site. 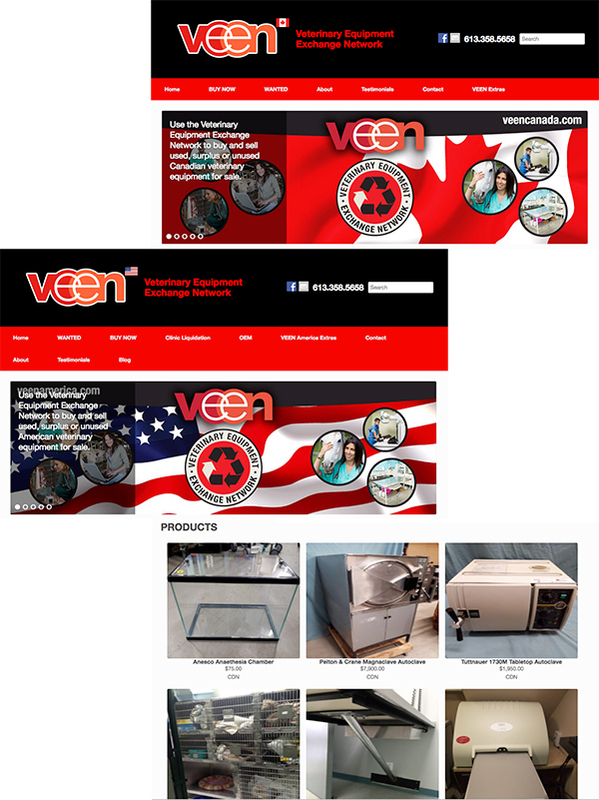 The Veterinary Equipment Exchange Network concept was so successful that VEEN (Veterinary Equipment Exchange Network) was expanded into the U.S. market. Each site includes a shopping cart.